In his epic business books including Good to Great, Jim Collins states eloquently the importance of ‘having the right people on the bus’, and how critical that is to the success of any venture. But how do you know whether a person, team or organization is hitting inevitable obstacles and challenges of doing business, if he/she/they/it just needs more time and resources, if it’s just a bad idea and would never work no matter who is on the bus? Below are top ten thoughts for leaders to consider as they evaluate who’s on the bus, who can get on the bus, who can’t get from here to there, and whether it’s worth getting on the bus. 1. Who are all the stakeholders on your team – from your staff to your customers, investors and partners? What are you requirements and needs and how does each person measure up to these needs? Try creating a grid of what you need vs what you’re getting so that you can clearly see who’s missing and who’s not measuring up. 2. Who is passionate about what they are doing? Who is creative about getting it done? Who is inclusive, collaborative and easy to work with? Looking beyond the work that’s getting done, see the impact of the person doing the work. Are they passionate and creative? Are they positive and supportive? Do they bring good energy to people around them, the room and company overall? 3. Who else should be on the bus and what value-add would they have to help the people already engaged? Looking at your grid, who’s missing, why do you need them, and how would you recruit him/her? 4. Who are *you* and how do you fit on the bus? What are you doing well, and where do you need support? 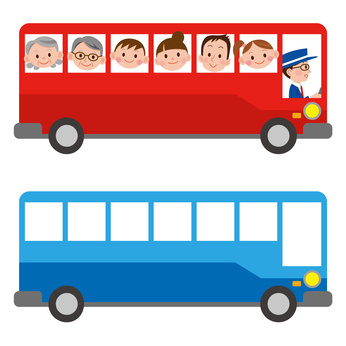 Are you the right person to get on the bus and/or drive the bus? How will you decide this, and what’s the plan to make changes if you’re not the right person in the right role? It’s very important to consider where you fit within the organization, and an interesting thing to look at after you put the other players into the mix. From the perspective of the company, where do you best fit and why? How will you validate your assessment? How do you navigate to be in that place, assuming that’s what you want to do? 5. Not everyone is an ace in all situations, but you want to have a majority of the people on your team as A players. Some B players are OK, if they have the ability, desire, means and support to step up and become A players. One of the greatest measures of a leader is what he/she does when someone is not performing. Your superstars will not be impressed unless you take action to address non-performers, time-suckers and egotists, but will respect you if you help those-with-promise step it up. 6. In fact, encouraging everyone to be aware of their strengths and leverage their strengths in the day-to-day work will be well recognized. Deliberately recruiting team members with complementary skills and passions, and then providing training and support to help the team integrate and accept and leverage all will help foster a culture of growth and transparency, so all are encouraged to ‘get on the bus’, and go places together. Direct and transparent communication, especially when the conversations are painful, will help the right people get on and stay on the bus. 7. Stop making excuses for C players, for if you do, the A and B players will become disengaged, and the C and even D players will take over. Many leaders take too much responsibility and then make excuses too many times for C players, people who, for whatever reason, can’t get from here to there. While it’s important to be supportive and compassionate, it’s much more compassionate to have a clear line and stick to it, rather than continue to make exceptions and excuses and lowering the bar for all. 8. If you have a B player, or even an A player, no matter how exceptional he/she is in doing tasks, but are egotistical, self-serving, and otherwise counter-productive to the culture of the team or organization, call this out and make their continued employment conditional on their positive, constructive attitude. Too many times we make exceptions for prima donnas who think that their work stands for themselves, and their toxic energy counteracts the effectiveness of what they deliver, dis-empowers and frustrates their team mates and zaps the energy of the team and the project. Sometimes your best performers bring negative energy to the project and team, and you must weigh the pros – the work they deliver, and cons – the energy they emit. If you’re tossing a coin, lean toward hiring 1.5-2.0 people with positive energy than retaining someone who comes with negative baggage. 9. Running a growing and successful business is tough. Being engaged in challenges day-to-day can be overwhelming, and often it’s hard to see the forest for the trees. But as a leader, you must always be sure that what you’re doing makes sense: that there’s a market and customer base for what you deliver, and a business model which can ensure that your company can profitably and sustainably deliver it. Passion is a hallmark of a successful leader, but sometimes commitment to a cause means that we’re blind to all the signs that tell us that we need to pivot. So always have your finger on the pulse of the customer, and have your personal board of directors let you know if you are deviating from the course. 10. And if you know that the customer base and revenue model is not there, manage and lead a pivot to ensure that it is there. If and when you are ever told that a pivot is necessary, proactively and transparently manage that pivot. It takes courage, strength and energy, but is necessary. We hope that your journey is productive and serves the needs of the people on your route, and in your bus, and that you manage the bus and the people on it so that all enjoy the ride. FountainBlue’s monthly leadership blog is about connections in thoughts, people, ideas and things – life-changing conversations made at a crossroads. In general, it’s the path often taken, one that is known and predictable and has led to many successes, and the other more mysterious, more precarious, but perhaps more auspicious. Launched in December 2012, this leadership blog is a compilation of dozens of stories we’ve heard and lived, involving leaders from a vast range of varied backgrounds and believe that every conversation, every fork-in-the-road matters. We have organized our monthly blog into a top-ten format, for easy digestion and take-away, and hope that the content in this blog will help you think more deeply about the current fork in the road. This month’s top-ten-leadership rules is on ‘Who Gets On the Bus’. We invite your questions and comments about your marketing and leadership successes and challenges. This entry was posted on January 30, 2013 at 10:18 pm and is filed under Leadership. You can follow any responses to this entry through the RSS 2.0 feed. Both comments and pings are currently closed.